we pride ourselves on QUALITY and CONSISTENCY. 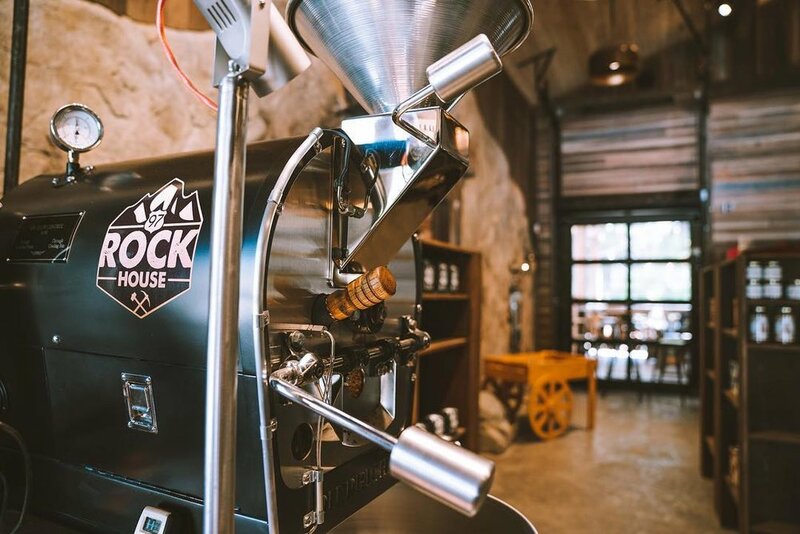 each batch is roasted with care hoping to satisfy your coffee cravings. we find it our RESPONSIBILITY to CONTINUE to learn and develop our roasting techniques to deliver the perfect cup of coffee. WE roast our coffee in house. to get the whole experience Stop by our cafe on blewett pass hwy 97 in peshastin, WA. Our UNIQUE location and building takes on the mining theme which has a long history in the area. We roast 5-7 days a week providing the freshest of the fresh. The Staples are our two most popular roasts; our Motherlode and our Pickaxe are the medium and dark roasts in our family of recipes. Although we use the same blend of the highest quality of beans, these coffees are roasted with unique time and temperature signatures. Try them both and decide for yourself which one is your favorite morning staple!